The Patchwork Transportation Personalized Picture Frame makes the perfect added touch to your child’s room and makes a very uniquely personal gift to give at an affordable price. 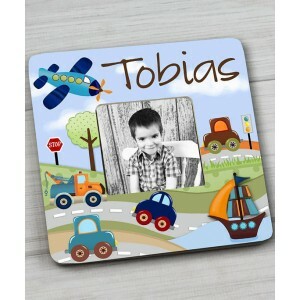 They can be personalized with any name, saying, quotation, birth information or wording of your choice. 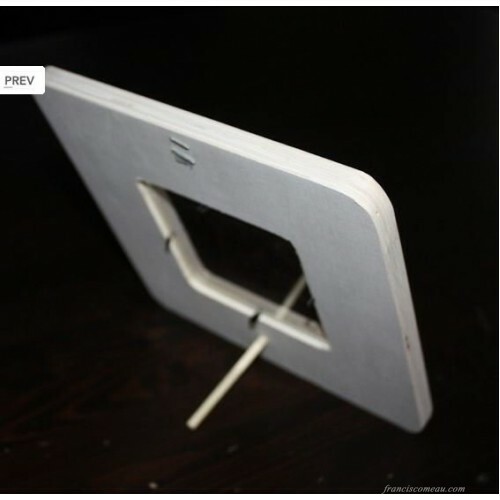 All photo frames are the print of the original art work that is professionally mounted and given a top protective coating. It is personalized with the name or wording of your choice. Layout may change slightly depending on the size. Picture Size 3.5" x 3.5"